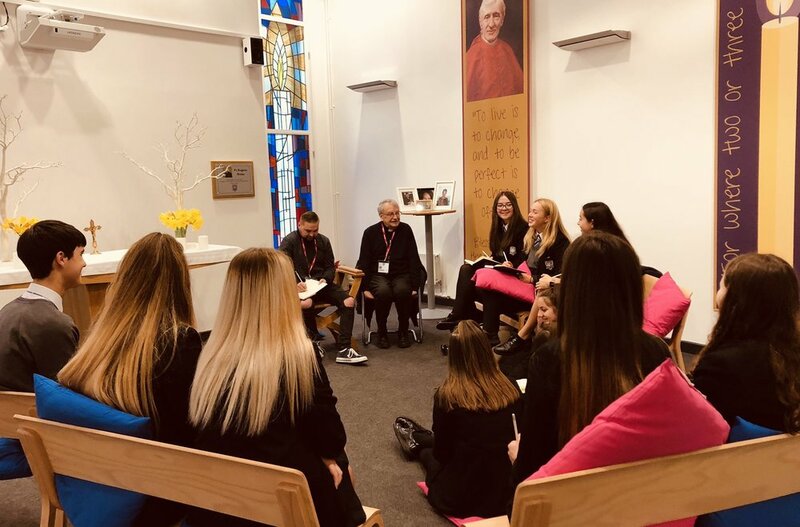 A new IMPACT Group has been launched at Newman College, Catholic High School in Oldham. Following an appeal for students interested in finding out more information on what IMPACT and the YCW is all about, about a dozen pupils met with representatives from the National Team. They held their first meeting and did an introductory exercise into the YCW Method of SEE-JUDGE-ACT by examining a range of injustices and discussed in groups how they would rank these. This allowed the young people to then debate why their group had chosen their particular set of rankings, drawing on principles of dignity, rights, solidarity and care for the poor. Once this exercise had got the young people enthused, they were then asked to reflect on their own reality and the issues they felt were important to them, their peers and their local community. There were many contributions from the young people and they ranged from homelessness and poverty, to social cohesion and generational divides. These issues will be the basis for future meetings of the Group to work through as they develop their understanding of the Method.